The Beauty Scoop! : Dr Lewinn's Restorative Hand & Nail Cream! 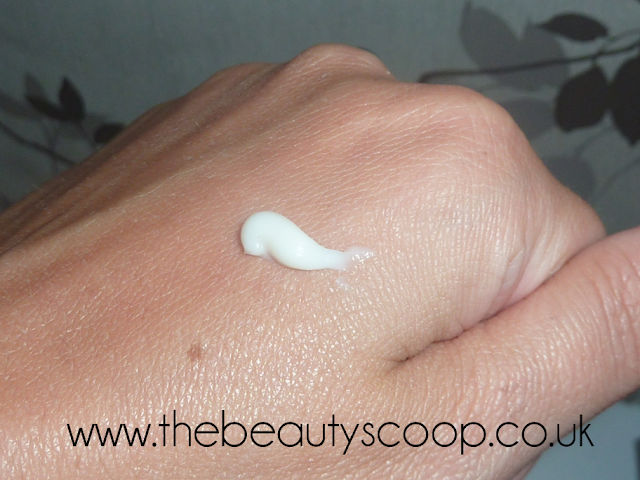 I love a good hand cream; if you follow this blog regularly then you will probably know that I suffer with psoriasis patches in various areas, including my fingers. 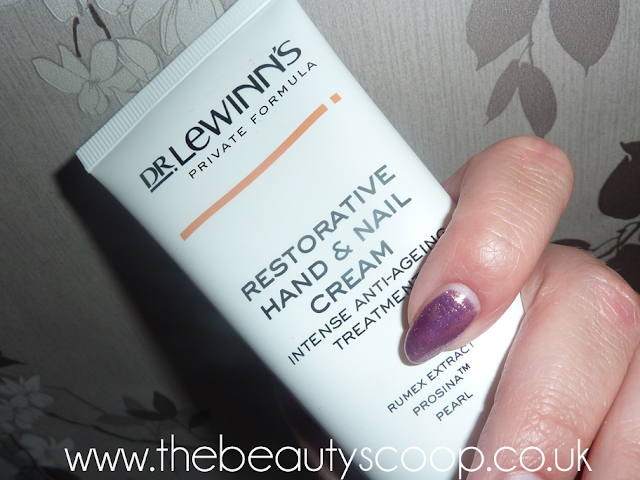 It’s incredibly painful at times and the skin can break very easily when at its worst, so a good hand cream is high on my list of beauty necessities! I’ve been trying out Dr Lewinn's ‘Restorative Hand & Nail Cream’ recently and so far have been really quite impressed by it. It’s quite a thick hand cream, so I automatically thought it would feel heavy on my hands, and take an age to sink in... not so! Yes the cream is thick and VERY moisturising, but it sinks in like a dream and feels absolutely lovely on the skin! The cream is said to be ‘anti-ageing’ which is a good thing in my book, as you can have the best skin ever on your face (or have work done) yet still be let down by old looking hands... I’m thinking Madonna here if I am honest! Anyway the ingredients list certainly seems to back this up, with Glycolic Acid featuring on there. I found this table (shown below) on the website that explains what the key ingredients actually do, which I think is great as I’m always a big baffled by some ingredients lists – such a good idea, and very informative too! 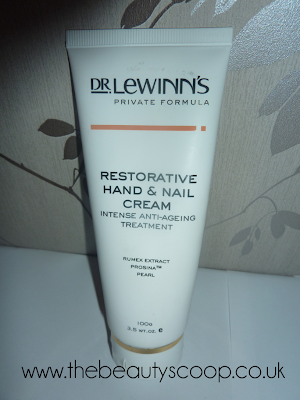 I am unsure if it is this cream that has helped my psoriasis, or whether it’s the holiday sun etc, but I have noticed a definite improvement in the texture of my skin on my hands and fingers, they do appear to be smoother and less dry also. I’ll update this post if I notice any worsening of the texture or dryness now I am back home as that should tell me if it was just the sun, or if indeed the product has played a part in this... I’m hopeful that it has, I would love my fingers to stay like this - even without the aesthetic side of it, it’s nice to not be ripping the skin open when doing menial tasks! An exclusive protective barrier cream. Provides intense moisture and nourishment to dry, dehydrated hands and nails. Improves and maintains skin texture and tone. Lightens appearance of age spots (with regular use). Absorbs quickly into hands and nails. Available at lookfantastic.com for £20.80 (usually £26) which I think is worth every penny! !